Andrew Lau's "Infernal Affairs" trilogy became the best-known import in the early 2000s from the storied Hong Kong film industry, supplying Martin Scorsese with material for his Academy Award- winning film "The Departed". But while Mr. Lau's latest, "Revenge of the Green Dragons," leaps forth with a flurry of montage, attitude, and action, it loses its way as a drama. This film — a crime yarn directed jointly by Lau and Andrew Loo, and set in Queens during the Chinese immigration wave of the 1980s — begins by sketching out the hungry desperation of the era, and how Chinese gangs took hold of two schoolmates, Sonny and Steven, and never let go. Violence and cynicism abound, as the story ratchets forward to track the hotheaded Steven and the more prudent Sonny through gangland intrigue, shootings, and blowbacks. The violence is savage and the torture, graphic. The victims are true-to-life: women, children and the elderly. There are also a few mind games - coupled with a neat albeit unconvincing twist at the end - as there are straight-up acts of brutality. Sadly, the rest of the mayhem that's fueled by drugs, human trafficking, and an unconvincing, supposedly ill-fated romance seem hurriedly patched together, and contribute little towards making this gangster flick as engaging and fresh as it's ruthless and stylish. Inspired by a 1992 article in The New Yorker, "Green Dragons" gets a certain vigor out of it's prideful battles for power, turf control, and respect in a world where only the murders of whites seem to matter. Yet the busy plotting shoves past the characters, and Justin Chon as Sonny, and Kevin Wu as Steven, can't keep up. 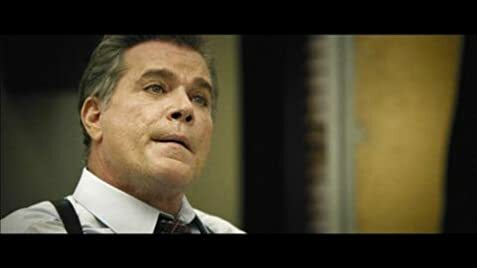 A smuggler's speech about America's basis in hatred won't find many buyers, nor will a frozen-faced Ray Liotta referentially cast as a detective benefiting from the efforts of a Chinese-American colleague (Jin Auyeung). 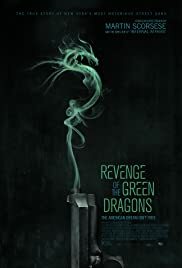 "Revenge of the Green Dragons" starts with promise, but soon becomes predictable, filled with clichés that do little in terms of engagement or spinning a novel, fresh story from an interesting, untouched plot. What initially feels like brash energy peters out until what's left mainly evokes some pretty run-off-the-mill gangster lore.